Click on this book cover for Nancy's link. It's only $.99 Why wouldn't you? This Fit To Be Dead author must be crazy. But don't take my word for it. Visit her website and see for yourself. Maybe as an adult you have to be a little crazy to sit at a desk and type out pages of "homework". After all, I didn't want to do it when I was in school! But now? You create a book that wins awards, everyone can buy on Amazon, and it features a character that makes it to the pages of this great online magazine. Ok, maybe the last part was no winner. Oh yes, and her character Nancy, has her own blog! But our fans love a character with a sense of humor, so here's the scoop..
Did you read the part above about clicking on Nancy G. West's website? Did you see what I meant about being crazy? That's right, Nancy talks to herself. Rather, her character comes to life (in Nancy's head) and has an interview with Nancy herself. "Yes you are, its Nancy's character, Aggie, talking to Nancy"
"But Aggie is in Nancy's head, so she's talking to herself"
"Yes, she's talking to herself. That woman is crazy"
Oh no, now I'm doing it! And just maybe that's what made me decide to write this little article up. Nancy G. West fits right in. After all, she has had to do her own research into growing older gracefully in order to support Aggie Mundeen's quest. So I like her. Crazy or not. Why did I put this book on an Anti-Aging website? 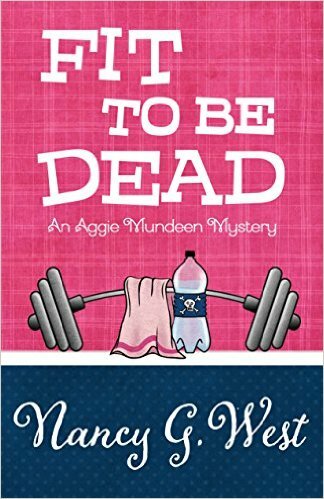 Fit To Be Dead takes place in a health club and in classes where Aggie and Meredith attend graduate school. Does the Main Character fit into our demographics? Aggie Mundeen is approaching 40, is searching to extend her youthful appearance, has a witty and dry sense of humor.. yup! Will the book keep our reader's attention? You want more? Follow the clues in this mystery, watch your heartbeat skip in the pursuit of romance, re-experience scenes right out of your youth, smile and laugh at life's humorous side. But is the book any good? It must be! Its nominated as the "Lefty Award Finalist. Chanticleer Award Winner, Mystery & Mayhem Category". And reviews... I read 43 reviews... and they were good! 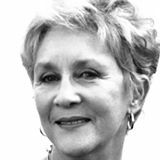 N.G West's fine writing and clever plot reveal her mad sense of humour. I alternated between chuckling and sober reflection, but there is one place in this novel where I roared with laughter. A very well written book with a lot of lighter moments to counter the darker ones. I don't know anyone who obsesses about aging like Aggie does. Most of us just accept it and get on with living. I have to say Aggie's description of Fit and Trim has turned me off gym's forever. Fit to Be Dead has it all: intriguing characters that point to romance, an engrossing plot, a compelling puzzle and well-disguised clues--a fun read. "Whew, i'm tired. Enough of this. Its tough being the interviewer and interviewee at the same time." Now read what I found that the author said. If you've had to start over, get in shape or stumbled into trouble, you will appreciate Aggie Mundeen.